Basically, we have to make a post featuring the books which we bought, received for review, or loaned this past week. I haven't read any books by McCammon before but a lot of my friends on Goodreads rave about him and he is recommended by Stephen King so I think I will like him. Unfortunately all of his books are really long and have generally been quite expensive which has put me off buying them but this one appeared on a Kindle Daily Deal for £1.29 this week and I thought it was too good to miss out on. I might allocate it as my Halloween read! Swan Song might be too scary for me! I have Everything I Never Told You...resting comfortably on Sparky. Hope to get to it soon...thanks for visiting my blog, and enjoy your books! I have been eyeing Everything I Never Told You. 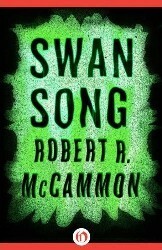 And Swan Song does look like an excellent Halloween read! Enjoy your new books & have a great week! Everything I Never Told You looks really interesting. It's new to me, but the cover has me quite intrigued. Happy reading! Yes it's a good cover. I don't think I would like Swan Song. I can't read Stephen King. 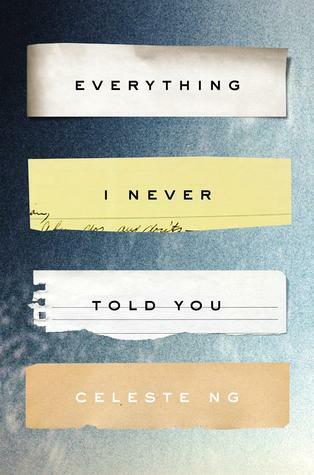 Everything I Never Told You has such a great cover. I'm not familiar with these. Enjoy!! Thank you for stopping by Fiction Books today. I love 'meeting' new people, so your visits will always be welcome and your comments always appreciated. I don't think that 'Swan Song' would be one for me, although I do quite like the cover art. I used to read a lot of the early Stephen King horror books, however since his writing has veered more and more towards the genre of fantasy, I have to admit I have kind of lost interest a bit. I do have fairly eclectic tastes in my reading, however fantasy isn't one of my preferred genres. 'Everything I never Told You' is already on my 'Want To Read' list, as it has featured on one or two blogs just lately, although goodness knows when I shall get around to reading it. There are so many sources of great freebies these days, that I need never be lacking a good book to read! Yes King's books have taken a slight turn towards other genres. His most recent, Mr Mercedes, is a mystery/crime/suspense - nothing horror or fantasy about it so it might appeal to you. I thought it was fantastic.